The 11" Hi-Per Random Orbit Sander is the newest to hit the market. 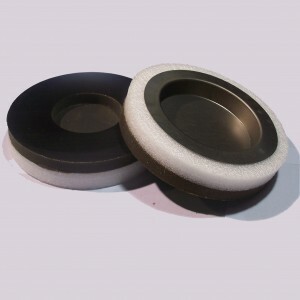 It's 11" backing pad is available three ways: as a polishing pad able to accept a bonnet, as a solid hook and loop pad able to accept most any hook and look sandpaper and as a Donut shapped hook and loop pad able to accept the O'Brasive Donut Discs by Performance Abrasives. This unit weighs 16lbs, 10" high and is powered by a 2.9amp/110 volt motor turning 1725rpm. The Hi-Per sander is great for use on solid surface, veneers and solid wood. Our video shows the sander in operation on solid surface material. 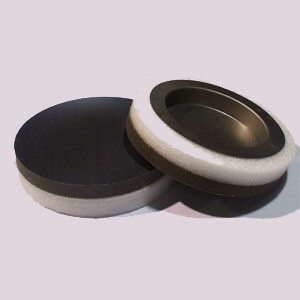 The supplied backing pad is a soft pad with a center hole. We recommend the hard pad for use on solid surface materials to provide a flatter finish and to eliminate rounding over on the edges. 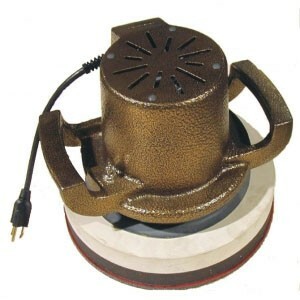 The HiPer Sander is a also available with or without dust collesction. The HiPer Sander wit dust collection has a shield with a removable panel on the side. With the panel removed you can easily sand to a wall line. Unlike other similar sanders the HiPer evacuates the dust through ports in the backing pad. The HiPer Sander backing pads are only available in Hook & Loop Style but they are interchangable with the Gem Pads if you want to use Hookit II abrasivesfrom 3M.